We are a community of individuals who are committed to making a difference in the life of our equine patients and their owners. Our organization started as a concept in 2002. A small group of equine technicians and assistants organized several CE events with a primary focus on equine wet labs and lectures. The idea began to gain traction and soon an AAEP Task Force and Organizing Committee were created. In 2004, the first AAEVT Annual Conference took place. Since that time, we have committed ourselves to advocate for the entire equine veterinary health care team, growing our community from 250 members to over 1,000 members worldwide. 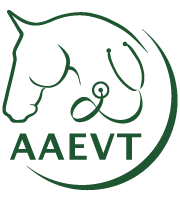 From the beginning, the purpose of the AAEVT has been simple: to provide premium continuing education, create a thriving community, and to advocate for the entire equine veterinary health care team. We are passionate about our profession and have devoted ourselves to ensuring that our community has everything they need to succeed. We currently provide wet labs and lectures across the US. This includes a four-day annual conference. We also provide essential resources for our community such as our Career Center, Online Certification Program, and Equine Manual. We truly believe that success starts with community. Come join us. As an AAEVT member, you will have access to premium educational opportunities. These include our Annual Conference, Regional Educational Events, and our topic focused forums such as our Anesthesia Society. We believe hands-on experience is the best way to learn new skills. To ensure our members are always able to contribute at their highest level, we provide focused wet lab events with industry leading speakers and instructors. We are a professional community of equine veterinary: technicians, assistants, staff, and students. Together, we grow, learn, and create a bond that makes a difference. We believe success starts here, with your connection to community. Our Career Center is a one-stop resource to find new opportunities in the equine industry. Postings are complimentary for AAEVT members and their clinics. Login to post a job advertisement or search for the opportunity of your dreams! We believe it is vital for our profession to have a voice. Don’t you? Your AAEVT membership gives a voice to our profession. Together, we’re continuing to advocate for the entire equine veterinary health care team. Come join us. Recognition is an essential part of our community. Member of the Year, Regional Contact of the Year, and two Champions of the Cause awards are given each year. Winners receive an all-expense paid trip to the AAEVT Annual Conference! Available to Equine veterinary technicians, assistants, students, support staff and practice managers worldwide, who do not reside in the US or Canada. Available to all Equine veterinary technicians, assistants, students, support staff and practice managers who reside in the US or Canada. 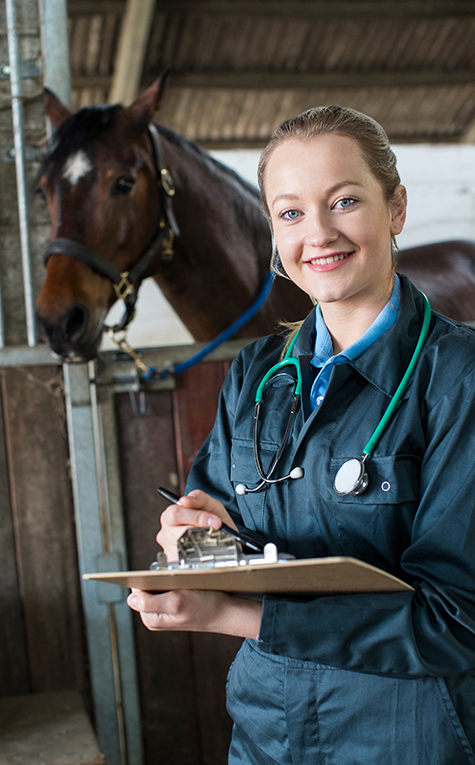 For those who are enrolled in an AVMA accredited School of Veterinary Technology, or who are enrolled in an equine science related college program. Receive access to our newsletter, website, and other association news. Membership includes complementary job posting on our career center.